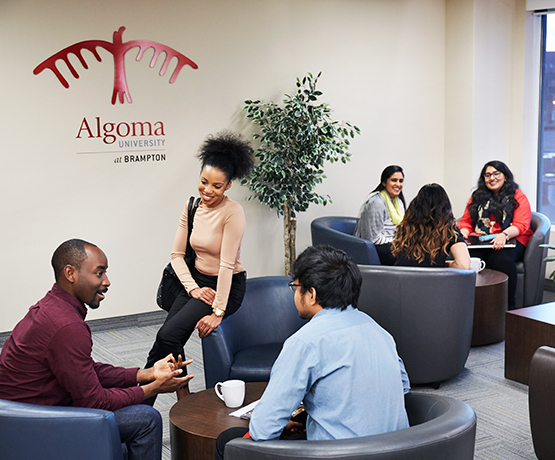 Algoma U at Timmins is a unique learning opportunity, which provides diploma-to-degree and university transfer students with the opportunity to accelerate their career path and put them on the path to professional success, while living at home. This flexibility makes our University education both accessible and affordable! Our courses are offered at the Timmins Campus of Northern College of Applied Arts and Technology, helping students in Northern Ontario complete their educational wishes without having to move and uproot their families for an extended period of time. Below you can explore all of the many opportunities available to our Timmins students. Come take a closer look! Our students have full FREE access to the Northern College Fitness Centre which includes saunas, lockers, newly updated weight room, cardio machines & squash courts. Check out the campus pub to relax and hangout with friends. There are frequent events for all students to enjoy! Algoma U at Timmins students often participate and raise funds for local annual events such as the Pride Parade, Take Back the Night & Coldest Night of the Year. Often times the Algoma University Student Union (AUSU) & Social Work Club together offer a variety of activities and opportunities for students to connect. Paint & Sip, pizza nights, Kamiskotia Ski Day & exam kits are just a few examples. Student’s have full access to the familiar academic supports offered in person at the Northern College campus or through our main campus in Sault Ste Marie. 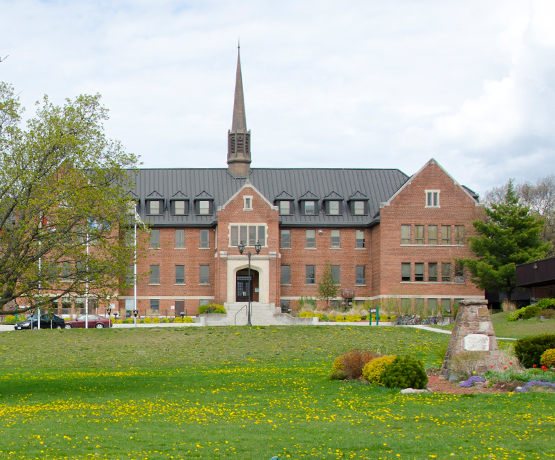 Algoma University has a unique partnership with Northern College, Cambrian College & Confederation College which allows students to apply at any time during their studies for a conditional offer to their program of choice. Applying through the Joint Admission process allows students to avoid the application fee and reserves their spot in the program. Once the application has been submitted, scan an unofficial college transcript to admissions@algomau.ca and the application will be reviewed. Upon graduation from their respective college the student will submit their final official transcript for evaluation to receive an official offer. By taking advantage of this unique partnership, students avoid fees and qualify for 1 of 2 Joint Admission bursaries valued at $500 each. Students benefit from studying in the ideal classroom environment, which boasts small, supportive classes that afford you more one-on-one time with your professors. We offer both face to face and video classes during the day and evening, allowing our students to maintain a positive work:life balance. College graduates. Students who have completed a recognized college diploma may receive course recognition towards the Bachelor of Social Work or Bachelor of Arts in Community Development program depending upon their GPA and diploma program of study. We offer a Joint Admissions Program for students currently attending Northern College, Confederation College or Cambrian College. At any point during their diploma studies students can apply for early admission into one of our degree programs and avoid application fees. Students with a college diploma in any discipline are encouraged to apply and will have their transfer credits individually assessed. University transfer students. Students transferring from another university may apply to the professional years in Social Work after completing 60 credits or two years of study. Students transferring from other programs will be assessed individually by the Office of the Registrar and will be subject to the same admission procedures and standards. Students will be required to have a minimum average of 70 per cent. In some cases, students will be required to complete core courses required in the first two years of the Bachelor of Social Work program. University graduates. Students who have completed a recognized university degree with a minimum of 70 per cent may apply to the Bachelor of Social Work or Bachelor of Arts in Community Development programs. Students will be required to complete a minimum of 63 credits to complete the requirements of the professional years in Social Work. In some cases, students will be required to complete core courses required in the first two years of the Bachelor of Social Work program before being allowed admission. TWO GREAT PROGRAMS. ONE GREAT LOCATION. Algoma University offers both the Bachelor of Social Work and a BA in Community Development on the campus of Northern College in Timmins. The method of course delivery is indicated in the course description. Some courses are delivered in-person by a qualified Algoma University instructor who travels to Timmins to teach the course. Some courses are delivered via interactive video conference from Algoma U’s home campus in Sault Ste. Marie. Some courses are taught by a qualified Algoma University instructor based in Timmins. All course instruction, examinations, and guest lectures will be available in Timmins. Community development practitioners work alongside people in communities to effect change. They help communities identify common concerns and solutions, and build relationships with organizations and those in positions of power so that everyone can become involved in issues that affect their lives. Empathy and understanding others intellectually, culturally, and emotionally is necessary to become a social worker. If you possess these skills, this program might be for you! The demand for social workers in Canada has risen significantly in recent years, and is even greater in northern Ontario as demand continues to outpace supply. Want to learn more about our program? View the Social Work program page. Classrooms, labs, residences, food, the gym, library, and more are all within a two-minute walk. Everything is at your fingertips ready for you to explore. You’ll be surrounded by the natural beauty and a caring community of learners. Enjoy the comforts of home and one-on-one interactions with faculty while earning your degree. Enhance your degree by minoring in Accounting, Human Resource Management, and Marketing.